Are you looking to empower yourself with knowledge? Do you want to broaden your Jewish values and ideas? Would you like to inspire yourself through learning? Or are you looking to make a difference in your life? 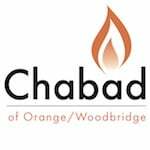 If you said yes to any of the above - then the Adult Education Programs at Chabad of Orange~Woodbridge can offer you a rich array of opportunities throughout the year. Join other like minded individuals who attend at our 3 annual six week courses from the Jewish Learning Institute, or join in at our weekly Torah & Tanya study classes and well attended Jewish Women's Circle programs. As part of our Adult Ed programs, we often bring in local and national speakers. So come along and join us as we broaden our minds and empower each other through the ancient and modern Jewish tradition of learning.